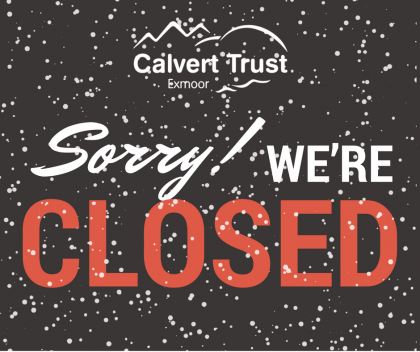 Unfortunately due to the adverse weather conditions we are currently experiencing, Exmoor Centre will be closed until Monday 5th March. If you have a booking for this weekend (from Friday 2nd March) and have not heard from us, please telephone us on 01598 763221. We will review the situation regarding arrivals for Monday 5th March over the weekend, and advise of any further closure as soon as possible. We apologise for any inconvenience caused.